I’m not usually one to split up images like this, I prefer to keep them all landscape or at least have a mixture of the two sizes. But since it’s Friday I thought I’d let myself off, also these are very tasty indeed so I knew even though they weren’t that big you would still appreciate them. Sometimes I think I need to document these so people in the future can look back and see all this fantastic work that has taken place, it’s sure to inspire some people to get out there and make objects on much of the same level. 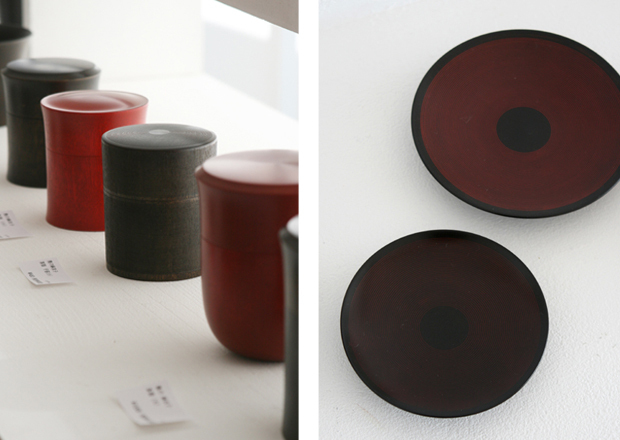 These specific works are by a very talented lacquer artist and woodworker that goes by the name of Maiko Okuno. Maiko has been on my radar for a while but I’ve not been able to find any imagery to compliment my findings. 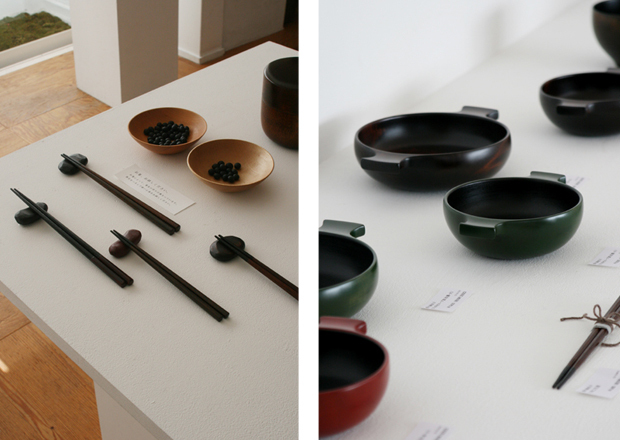 Luckily, Utsuwa Ku Gallery has been documenting their exhibitions all the way back to 2005, so I had a great time flicking through the different sections. If you’re interested in seeing other exhibition shots, which are all pretty spectacular by the way, I’d recommend heading here. 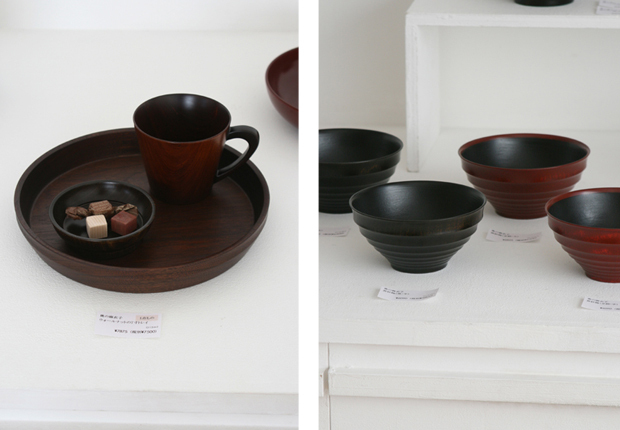 Utsuwa Gallery is quite an inspiration to me and is definitely the sort of style we’re heading for here in our own shop, I love the mixture of items they’ve got and also the fresh photography. 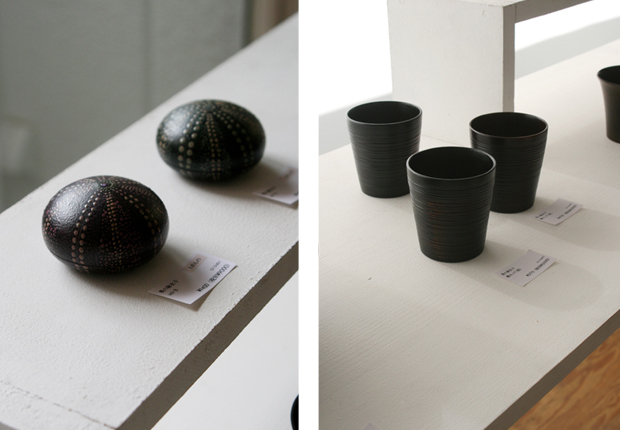 The products look so appealing, and they’ve done a fantastic job at showcasing the work of Maiko back in late 2012. 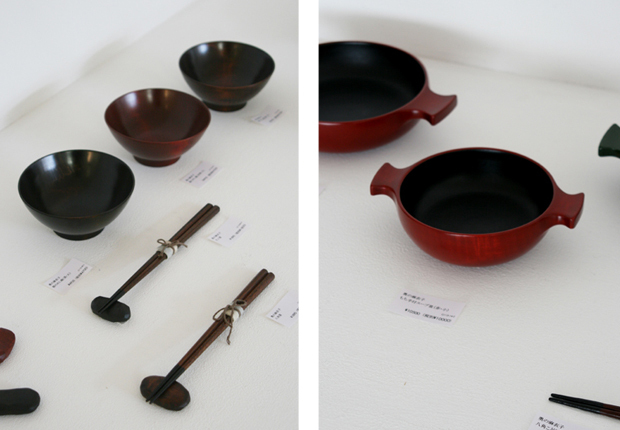 Maiko Okuno’s philosophy is to “create something that can be cherished for life”, she originally began making lacquerware after visiting an exhibition hosting woodworker Ryozo Kawakita, a “Liv­ing National Trea­sure” of Japan. She was inspired to set up her own studio in 2005, the rest is history really and she’s at a very high level of quality and construction. 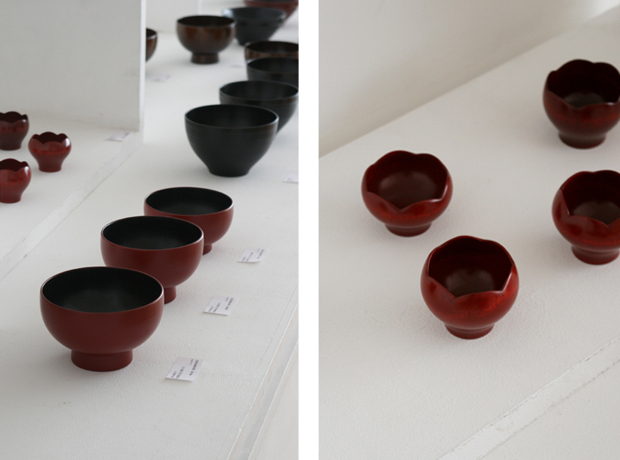 What I find most interesting is the shapes that she creates, most artists are making basic functional forms but her works are extremely complex and often revolve around tear drop shapes and other simplistic curved vessels. 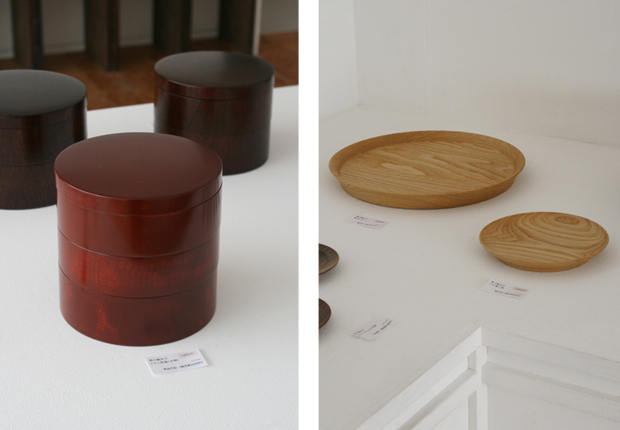 I’ve even seen her make fruit shaped containers, most notably apples, where you can store stuff inside for keeping. Very innovative indeed. If you’re anything like me it adds to the context when you see these designers in their environment, chipping away on the lathe. 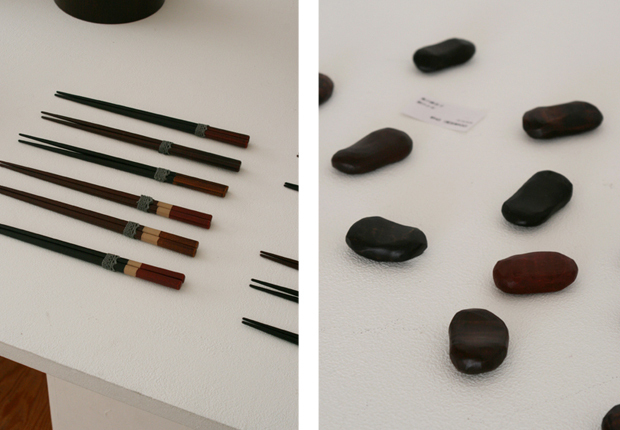 Although I couldn’t personally bring any over I’ll point you towards Kurashinodogu, where they have a few images on show of her making and her workshop. 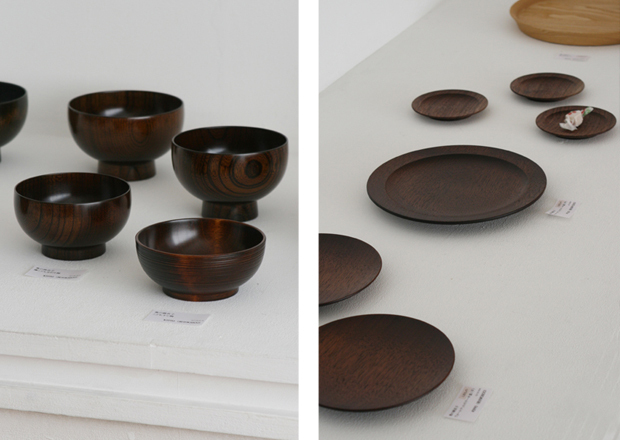 The stockroom full of freshly made wooden objects looks pretty spectacular!